Children who are able to initiate and maintain relationships, cooperate with others, empathize, and communicate effectively are often happy children and therefore caregivers instinctively focus on teaching social and emotional skills to them. In the past two decades there has been increased focus on directly teaching and reinforcing social and emotional competence. 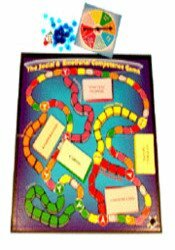 The Social and Emotional Competence Game was designed to give counselors and teachers another tool to teach social and emotional skills. Social and emotional competence refers to the capacity to recognize and manage emotions, solve problems effectively, and establish and maintain relationships with others. It is these skills that serve to protect our children from a host of difficulties including behavior problems, increased emotional distress, academic failure, delinquency, and substance abuse. The Social and Emotional Competence Game is a fun way to teach empathy, communication skills, self-awareness, social awareness, relationship skills, self-management, and responsible decision-making. The Social and Emotional Competence Game is easily integrated into existing programs. It can also be used in individual and small group therapy. Financial: Gary G. F. Yorke is the founder and president of Childtherapytoys.com, LLC. Dr. Yorke receives royalties for The Social & Emotional Competence Game, The Social & Emotional Competence Card Game, and My Medication Workbook. He receives a speaking honorarium from PESI, Inc. Non-financial: Gary G. F. Yorke has no relevant non-financial relationship to disclose.